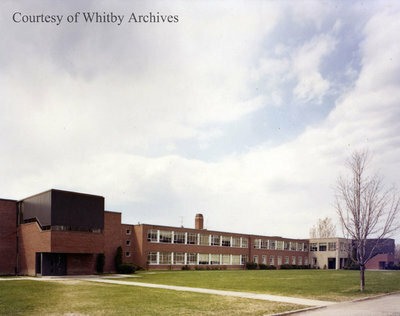 Colour photograph of Henry Street High School in Whitby. Orignally built 1954 - Two subsequent additions"
Henry Street High School, ca. 1983, photographer unknown. Whitby Archives photograph D2016_004_004.